Has the European dream become a nightmare? An expert panel of Durham academics and politicians spoke at the Union Society Debating Chamber recently to discuss the hot topic of Britain’s relationship with the European Union. 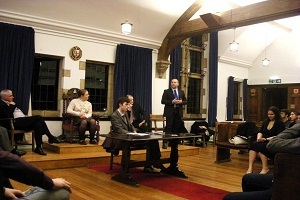 Organised by the Durham University Conservative Association (DUCA), the event saw a frank and thorough discussion of topical European issues followed by questions from students. Timothy Kirkhope, the Conservative MEP for Yorkshire and the Humber, started the discussion with a criticism of the ‘europhile/eurosceptic’ dichotomy that often characterises debates about Europe. He called for a reasoned reflection on Britain’s position within the EU that involved a balanced consideration of the benefits and drawbacks of the relationship. Dr Christian Schweiger, a lecturer in Durham’s School of Government and International Affairs, said that the European dream of peace on the continent and a closer union between European people was still alive but could only survive if national populations had greater knowledge of Europe and its institutions. These sentiments were echoed by Dr Andreas Pantazatos, a lecturer in Durham’s Philosophy Department, who argued that more work needed to be done to explain the rights, obligations and benefits of being citizens in the EU. Dr Pantazatos also said that free movement between European countries was not sufficient to achieve cultural integration and that support for language-learning programmes like ERASMUS was an integral part of building a stronger Europe. Charles Heslop, the Vice President of the National Conservative Convention, called passionately for the European Parliament to be seen as equally important as the Parliament in Westminster, arguing that the institution deserved more respect and that it was disappointing to see low turnout in MEP elections. Mr Kirkhope agreed, saying that the increased power of the EU Parliament since the Lisbon Treaty meant that it was regularly creating legislation that affected all British people and therefore they ought to take more of an interest in its work. He explained this lack of interest in Britain towards EU politics and the poor perception of EU institutions by pointing to a British media that is ‘massively simple, trite and trouble-making’. Mr Kirkhope said that it was difficult to get any positive press coverage of his work in the EU Parliament and this reflected general attitudes towards the EU in the British media. In the closing remarks Mr Heslop sounded a warning note about the EU, saying that European leaders needed to better respect individual national cultures and that certain forms of integration, such as the adoption of the euro, had been a step too far. Mr Kirkhope, however, said that any further ceding of powers from national parliaments up to Europe was unlikely. Until now, the Eurozone crisis for me has been a vague, distant phenomenon. I would turn on my TV to see mass protests in Athens, numerous summits between EU leaders and hear abstract talk of financial markets and rising yields on Greek government bonds. Yes, there was a crisis going on, but it was all comfortably remote and happening in slow motion. Whilst I could feel sympathy for the austerity-stricken Greeks, I struggled to appreciate why this crisis really mattered. What was all the fuss about? How did any of this affect the average person in the street? Ultimately, who cares? Well now I know. At a personal level, this crisis now has a human face. Meet Enrique. He lives in Algeciras in southern Spain, the largest city in the Bay of Gibraltar. He’s my Grandpa. This week he discovered that the municipal tax on his house has increased by 50%. He fears that taxes on rubbish collection will also rise. ‘The crisis is reaching people with low incomes’, he tells me. Enrique also saw the value of his savings dive as the share price of Santander Bank fell, a consequence of growing uncertainty over the safety of Spanish banks. In other words, he’s getting poorer. And at root, this is the tragedy of the crisis in the eurozone. Citizens of European countries, and it’s beginning to happen in Britain too, are having to pay higher taxes and endure lower living standards so that their governments can begin to pay off their debts. It’s pretty simple: governments are choosing to spend less and tax more to try to appease bond markets that take fright at the first signs of economic mismanagement. 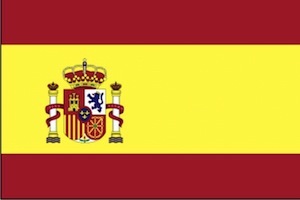 Things look particularly bad for Spain because their fourth-biggest bank, Bankia, is asking for a €19 billion bailout from the Spanish government. Bankia’s balance sheet is weighed down with toxic debts following Spain’s burst property bubble in 2008. Spain’s bailout fund isn’t yet big enough to save Bankia, so it will have to go to the financial markets to borrow the rest. But with investors demanding interest rates of almost 7% for holding Spanish government bonds, the cost of this bailout is looking eye-wateringly high. Indeed, it was borrowing costs of 7% that forced both Ireland and Portgual to go cap in hand to the International Monetary Fund to seek bailouts in the past. There’s now a real chance that Spain could be next. And whilst these question marks hang over Spain’s financial credibility, investors will continue to withdraw capital from the country. 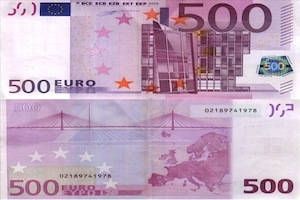 A record 66.4 billion euros was moved out of Spain in March alone. This lack of confidence means further falling share prices for banks like Santander and further troubles for people like my Grandpa. So what is to be done? How to end this seemingly never-ending crisis? In general terms, the answers to saving the euro would seem to lie in the following: greater fiscal integration, a degree of debt mutualisation and the political will to stomach long periods of depressed living standards. On the point of fiscal integration, the euro zone area needs to start acting like a single country with a centralized approach to taxation and spending. Different countries with different economies pursuing different tax and spend policies but united by a single currency was an idea doomed to failure. Europe needs to become more federal. Getting voters across the continent to agree to this is another matter, but it has to be done. Meanwhile, richer euro zone countries like Germany need to be prepared to stand behind the debts of the likes of Spain and Greece. The German people may not like it but it’s the price they’ll have to pay for saving the single currency. And they should see that it’s a price worth paying given that the success of the German manufacturing industry is in large built upon the favourable price of the euro relative to other currencies. If they were forced to revert to a strong deutschmark, their exports would most likely slump. So Angela Merkel needs to concede ground and accept some form of debt mutualisation. Will any of this actually happen? Based on past form, you’d say not. But Spain’s problems have given the crisis a new momentum. If the euro is going to be fixed, it’s going to have to happen sooner rather than later. But whatever happens next, this is now personal. It was previously easy to overlook the fact that this crisis touches real people with real plans and real interests. Spain’s troubles, however, and my Grandpa’s in particular, have changed that. This crisis really does hurt the person in the street. And in this globalized 21st century, a butterfly flapping its wings in Madrid stands to create an economic hurricane the world over. Britain is very much in the firing line. Unless Europe’s leaders act quickly to implement a lasting solution to the continent’s problems, the human cost is only going to get worse.